On pursuit for vintage bikes... this one doesn't seem all original, but the frame might be ok. It isn't the best deal I've seen on a Zaskar. It looks like the frame is the only thing that's original. 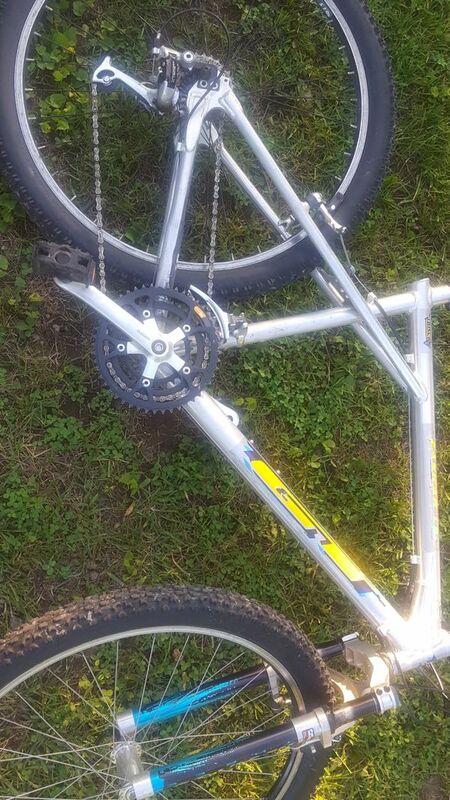 I bought a 95 LE with all of the XTR-M900 parts minus the rear derailleur for $300 U.S. I put another $200 into it to get it back to completely stock. I did some research and it looks like some LE's came with the Deore LX group set... do you think this one is a 1994 though? It has the little loop on the seatpost tube for cantilever breaks which fits it being a 94. The decals are from 97 (I think). LE means that everything is top of the line for that year (XTR). Zaskar without the LE came with the XT groupset. You could get them as a frame/fork set for the first couple years but I'm not sure when that ended. I think it was 93. This appears to be a 94-95 frame with later decals and built up with various parts over the years. Still it's not a bad bike. The asking price just comes down to what people are willing to spend. I've seen refinished frames with similar asking prices and complete bikes for less. The market for these is all over the place. Not the best deal but depends what you want. If original spec is important it will cost you and you will have to be patient. How about the frame itself? What year is it? What year is this guy? I did look at the LE frame mentioned here but wanted a complete bike. I do however want to put chrome rigid forks on mine and do away with the shocks and would love some help in identifying what forks might fit or of anyone has any?